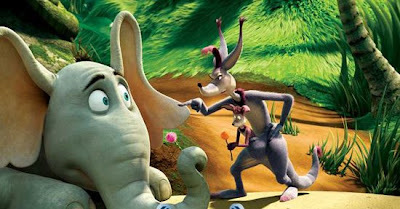 In Dr. Seuss' Horton Hears a Who, Horton, a well-meaning elephant, hears a tiny voice coming from a speck that is floating by. Upon further investigation, he discovers that there is an entire population of "Whos" living in "Who-ville" on this speck. The whos are a happy people, but they are in danger of being destroyed because the speck they live on is floating precariously through the jungle. To remedy this situation, Horton heroically decides to put them on the highest mountain so they can continue to live safely. However, Sour Kangaroo, gatekeeper of the jungle is skeptical of Horton's hypothesis that the whos exist. She has drunk deeply from the well of naturalism. She is a skeptic empiricist who continually asserts that, "If you can't hear, see or feel something, it does not exist." No matter how small or insignificant a person is, that person still has worth due to his or her nature as a human being. Underlying this statement is the recognition that human beings have value and that life is sacred. 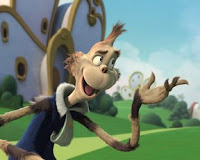 Outside of Whoville, this idea comes from the fact that "God created man in His own image, in the image of God He created him; male and female he Created them" (Gen 1:27).